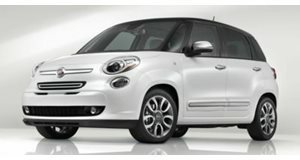 Like its cars, Fiat's sales numbers are really small. 2016 is (finally) over, which means we can look back on car manufacturer's sales for the entire year. Some companies, like Mercedes-Benz had an amazing sales year in 2016. Other companies, like Mitsubishi struggled to sell just 100 units of its i MiEV electric car. While not in the same league as the Japanese carmaker, Fiat didn't have the greatest year with sales in North America reaching 44,460, down from the 52,600 units it sold in 2015 according to Fiat500USA. Clearly, Fiat isn't happy with these numbers. In the US alone, Fiat sold 32,742 cars in 2016, which is 24 percent less than last year. To put that into perspective, Toyota was able to sell 32,556 Corollas in March of 2016 alone. That means that the entire Fiat brand would barely outsell one popular Toyota model if it was given 11 extra months to do so. 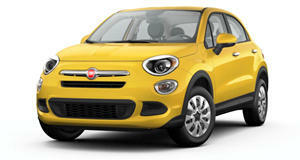 Fiat's lack of sales may have something to do with US buyers lack of interest in small cars. Fiat sold 15,437 units of the 500 in the US in 2016, outselling both the Toyota Yaris and Smart ForTwo which had sales of 10,872 and 6,211 respectively. This might prove that the problem isn't strictly with Fiat, but that Americans simply want bigger automobiles. Fiat was able to sell 3,118 500L models, which is down 59 percent compared to 2015. The 500X is the only car to experience growth with 11,712 units sold in 2016, a 3 percemt increase over 2015. 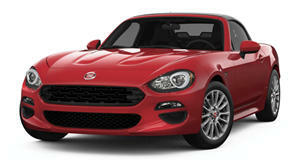 Fiat also sold 2,475 units of the 124 Spider since it was introduced in June, which almost outsold the Mazda MX-5. Fiat's dealerships have been struggling to stay open and the company itself may be forced to pull out of the US market if it cannot improve sales. The company has streamlined its lineup and has now slashed prices, so perhaps 2017 will see an upswing for the brand. 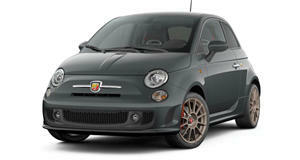 Like a regular Fiat 500, but way, way better. The Fiat 124 Spider Is a great all-round sports car, but isn’t quite the best-in-class .